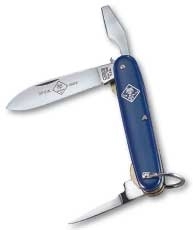 BSA Age-Appropriate Guidelines show that a Tiger or a Wolf Cub Scout cannot use a pocketknife. 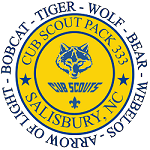 Bears / Webelos work on This Award. Knives Are Not Toys guidelines and the Pocketknife Pledge. A knife is a tool, not a toy. Never carry an open knife in your hand. When you are not using a knife, close it and put it away. When you are using the cutting blade, do not try to make big shavings or chips. Easy does it. you can’t touch anyone else, it is safe to use your knife.